The Market – Pulmotect, Inc.
Nearly all exacerbations are a result of a viral infection. By preventing and treating the cause of the attack, the downstream complications can be minimized or eliminated. Current methods to treat the flu are inadequate. 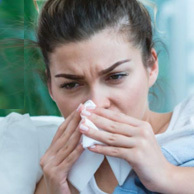 By locally stimulating the innate immune system in the respiratory system, the flu could be better prevented and treated. Additional government concerns deal with pandemic threats. Focus centered on high-risk patients undergoing chemotherapy. 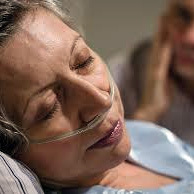 Additional immunocompromised patients include ICU, elderly, HIV and other cancer patients. PULMOTECT’S INITIAL MARKET FOCUS is on the reduction of chronic obstructive pulmonary disease (COPD) exacerbations. Exacerbations are characterized by an acute worsening of symptoms mostly precipitated by a bacterial or viral infection. COPD, which includes chronic bronchitis and emphysema, affects more than 24 million Americans and is the third leading cause of death in the U.S. 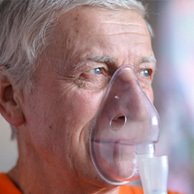 There are five million COPD exacerbations a year in the U.S. with a 20% hospitalization rate. Pulmotect has targeted the COPD market first with additional indications for the prevention and treatment of influenza and respiratory infections in immunocompromised patients, specifically those undergoing chemotherapy.